TCU returns QB Trevone Boykin, who will likely be a Heisman favorite this season. He is an elite dual-threat quarterback and boasts great arm strength and speed. Boykin is a player that has moved around from running back, wide receiver, and now to quarterback. He was sensational in his 1st season as the TCU quarterback last year throwing for nearly 4,000 yards and 33 touchdowns. Boykin also rushed for over 700 yards and 8 touchdowns. TCU has been known for its 4-2-5 defensive scheme that has been the hallmark of defensive success against the spread offenses in the Big 12. TCU had a strong argument for a spot in the College Football Playoff last year and could certainly push for a spot in this upcoming year. Still, despite last season’s 12-1 finish, TCU finished only 37th according to ESPN’s recruiting rankings. 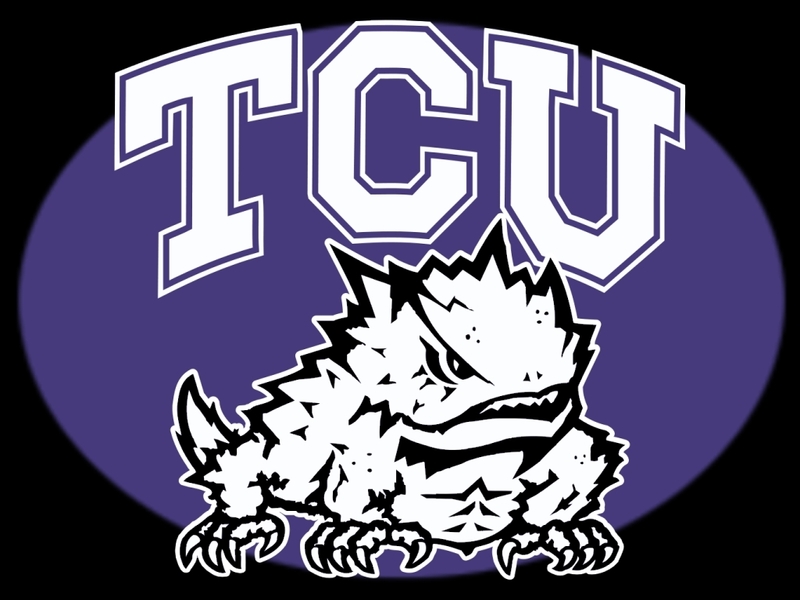 However, TCU is the type of team that is known for developing talent and finding success with what they have available to them. They are going to be ranked very highly despite not boasting lots of blue chip recruits. TCU kept coach Gary Patterson in Forth Worth, TX again after another group of “top” programs needed to fill a coaching vacancy. Patterson has succeeded at TCU with a record of 132-45 over his tenure. Patterson is quite outspoken against the current playoff format and wishes to switch from 4 teams to 6 teams. He also has suggested eliminating conference championship games. It has been pointed out that the current playoff format will run for the next 11 years. However, if the people who made the current contract feel that it could be amended and bring in more revenue, then I would not be surprised to see the field expanded. I feel that in the next 3 years or so, if there are more teams in the precarious position that TCU found themselves in this season, and then we might see some tweaking to the parameters. Given the money on the line and additional money to be made, there could certainly be changes to include said teams in the future. TCU will return its starting quarterback, leading rushers, and best receivers. The Horned Frogs bring a lot of momentum into the upcoming season. I also am really impressed with Jaden Oberkrom, who could be a Lou Groza finalist next season. There will be some losses in the secondary but I feel that these will be minimal. The season will ride on the shoulders of QB Trevone Boykin. If he can stay healthy, he will give them a chance to earn a spot in the College Football Playoff. I saw Boykin play live in the Peach Bowl and he is just on different level. The game speed is so slow for him and watching him attack the defense is something special. It is frightening for the opposition that he is still developing as a quarterback. I know he led the team in receiving last season, so I’m not really going out on a limb with this selection. Doctson could prove to be a cornerstone piece for TCU as they try to win the national title in 2015. This is a lofty goal and won’t be accomplished unless a player like Doctson can progress in the off-season into a dominant player. Doctson came on strong in the Frogs’ final 3 games. He almost doubled his reception numbers from 36 in 2013 to 65 in 2014. In order for TCU to take the next step and run the table, he needs to catch over 80 passes in 2015. At Minnesota, Stephen F. Austin, and SMU will not impress the College Football Playoff crew. The same things that haunted TCU this past season could happen again because those teams will not offer anything resembling a solid win. The final score of the Baylor vs. TCU game in 2014 as 61-58. TCU has to step up in the secondary and make some plays this season. There are not going to be a lot of opportunities for a team like TCU to have such a strong team with the prospects of competing for a national title. They need to shore up the secondary and that is especially true of the safety position. Best-Case Scenario: TCU rides Boykin’s Heisman hopes to an undefeated record and tops Baylor to end the season. Boykin wins the Heisman Trophy and becomes a game-changer against the Horned Frogs biggest opponents. The Boykin-to-Doctson connection is unstoppable and the Frogs get enough stops against Big 12 offensive juggernauts to win. TCU makes it to the College Football Playoff. Worst-Case Scenario: Boykin regresses as the pressure of the Heisman gets to him. The TCU offense isn’t what it was in 2014 and the Big 12’s traditional powers of Oklahoma and Texas improve. TCU loses to Baylor again and Oklahoma State turns the corner after being one of the youngest teams in the conference last season. TCU squanders a chance to win big and Boykin falls out of the Heisman race late in the year.